Explanation: Is the night sky darkest in the direction opposite the Sun? No. In fact, a rarely discernable faint glow known as the gegenschein (German for "counter glow") can be seen 180 degrees around from the Sun in an extremely dark sky. 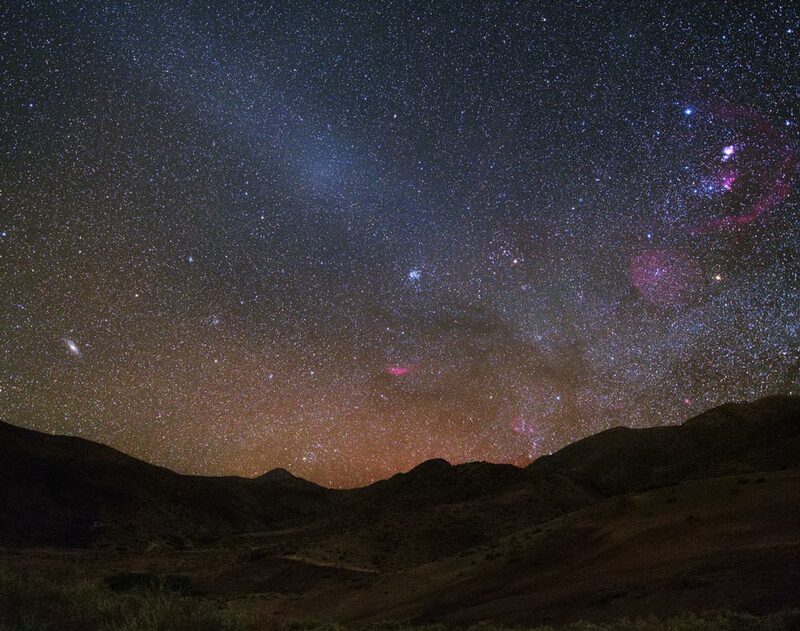 The gegenschein is sunlight back-scattered off small interplanetary dust particles. These dust particles are millimetre sized splinters from asteroids and orbit in the ecliptic plane of the planets. Pictured above from last year is one of the more spectacular pictures of the gegenschein yet taken. 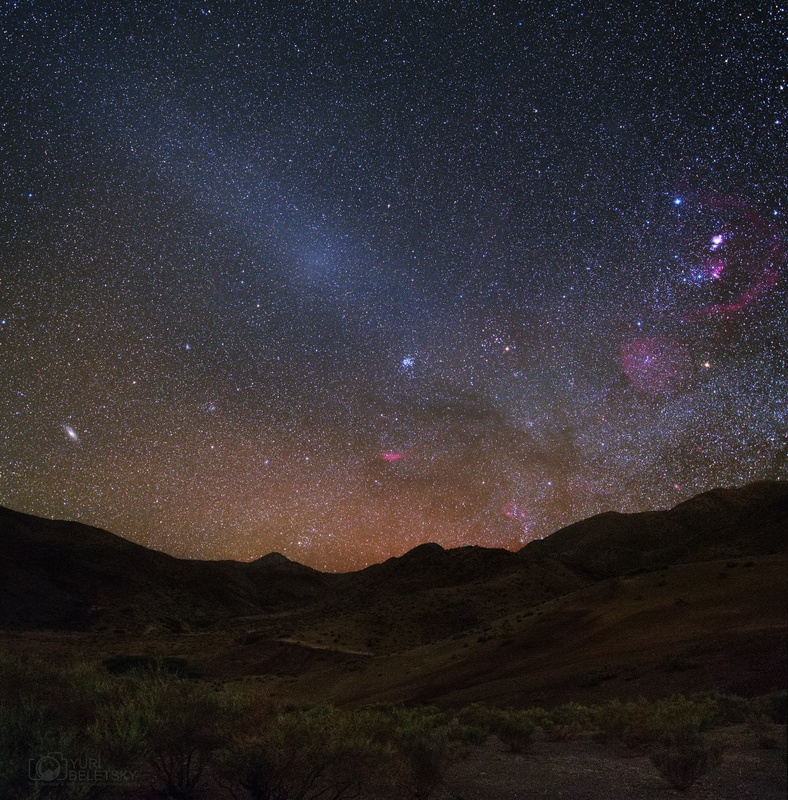 Here a deep exposure of an extremely dark sky over Las Campanas Observatory in Chile shows the gegenschein so clearly that even a surrounding glow is visible. Notable background objects include the Andromeda galaxy, the Pleiades star cluster, the California Nebula, the belt of Orion just below the Orion Nebula and inside Barnard's Loop, and bright stars Sirius and Betelgeuse. The gegenschein is distinguished from zodiacal light near the Sun by the high angle of reflection. During the day, a phenomenon similar to the gegenschein called the glory can be seen in reflecting air or clouds opposite the Sun from an airplane.